Several strains of bacteria in the soil can make a meal of the world’s most potent antibiotics, researchers said on Thursday, in a startling finding that illustrates the extent to which these germ-fighting drugs are losing the war against superbugs. 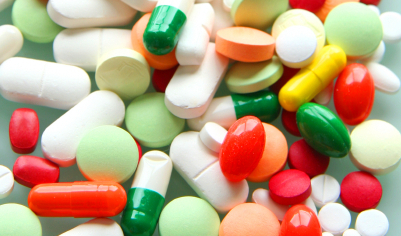 Antibiotics are used to kill the growth of bacteria. It is basically used to cure diseases. Antibiotics do not harm us. Today, people fear that bacteria do not die from antibiotics, because bacteria are too strong. This can happen when antibiotics are used too much. If they are regularly used, some bacteria may develop an immunity to the antibiotic. These bacteria can then reproduce and make a large colony of bacteria immune from the antibiotic. Now, scientists find out that antibiotics losing war against germs. Many bacteria got antibiotic resistance and they love to feast on antibiotics. According to wikipedia, Antibiotic resistance evolves naturally via natural selection through random mutation, but it could also be engineered by applying an evolutionary stress on a population. Once such a gene is generated, bacteria can then transfer the genetic information in a horizontal fashion (between individuals) by plasmid exchange. If a bacterium carries several resistance genes, it is called multiresistant or, informally, a superbug. A study of soil microbes taken from 11 sites uncovered bacteria that could withstand antibiotics 50 times stronger than the standard for bacterial resistance.